• Beach MOM is a short wrap and a towel in one. 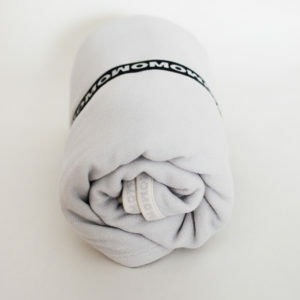 It can be used as a generous beach towel and when you are finished having fun at the beach you can wrap in it your wet baby covered in sand and carry him/her were needed. 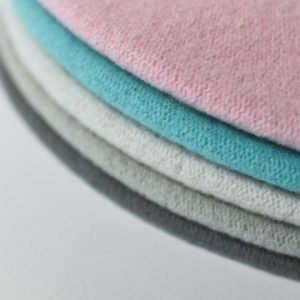 Made from 100% cotton, it has an easy care, you can even tumble dry it. 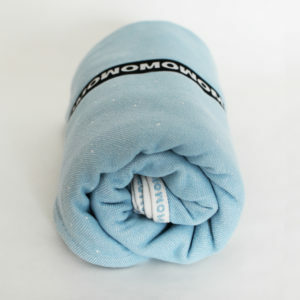 Beach MOM is woven as a terry cloth and has a versatile lenght 2,5 meters, that works great as a towel and a short wrap as well. You can wrap it over your shoulder and finish with a ring (finish with a knot is not recommended due to a heavier weight and the character of the fabric). Carrying Beach MOM is very similar to that of a ring sling. It is necessary to follow instructions and to maintain the order of pulling tails through the ring, otherwise tightening can be bit challenging, but don´t worry, it is easy! 🙂 The wrap is very cushy on your shoulder. 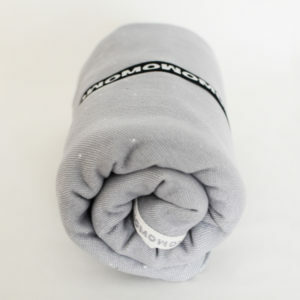 • Beach MOM is a complementary wrap, it can´t replace a classic MOM wrap. Although it is an awsome helper for short wears. Recommended especially to experienced babywearers. • Beach MOM package includes a black engraved sling ring and the classic MOM square wrap bag. Its size is aprox. 70x 250cm. We invite you to discover our minimalist MOMuniverse, all details about MOM concept.